After weeks of intense negotiations against themselves, the Orioles have signed Vlad Guerrero pending a physical. That means there’s a real potential for power in Baltimore this season (emphasis on potential). Here’s where the team’s new heavy hitters fit into the context of recent and distant team history. With the signing of free-agent slugger Vladimir Guerrero the Orioles will now have had six different Home Run Derby winners in their lineup at some point. In addition to Guerrero, who won the Derby in 2007, the Orioles Miguel Tejada (2004), Sammy Sosa (2000), Brady Anderson (1996), Cal Ripken (1991), and Eric Davis (1989). Short-time Oriole Albert Belle registered a second-place finish in the 1995 Home Run Derby to Frank Thomas. Belle’s overall home run total of 16 was one greater than Thomas’ total; however, Thomas won the head-to-head match-up in the final round by a 3-2 score. By most reports, the Guerrero acquisition means that Luke Scott will see consistent time as the Orioles’ everyday left fielder rather than the team’s designated hitter. The additional at-bats will provide Scott the opportunity to pursue in earnest his third consecutive season as the Orioles’ top home run hitter. Only three other Orioles have led the team in home runs for at least three straight seasons: Eddie Murray (six seasons), Gus Triandos (five seasons), and Boog Powell (three seasons). Between Guerrero, Derrek Lee, and Mark Reynolds, the Orioles now have three players who have hit 30 or more home runs a combined 14 times. Only four times in Orioles history have two players had 30 or more homers in the same season. Overall, only 14 Orioles players have recorded 30-homer seasons, led by Eddie Murray who did it five times. Guerrero has done it eight times. Here’s the breakdown of 30 home run seasons in Baltimore by decade. Based on their single-season career highs, Guerrero, Lee, and Reynolds would each place in the Orioles’ top five all-time for home runs. Only four Orioles have hit 40 home runs in a season. Finally, here’s what the Orioles’ home run leader board has looked like since the team’s last winning season in 1997. 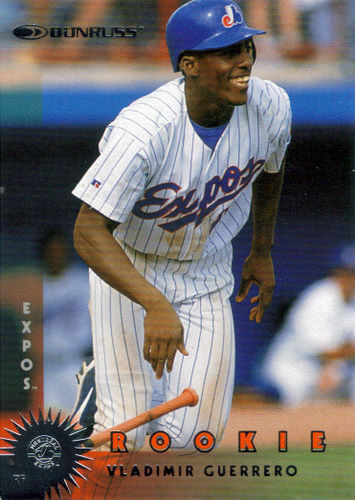 This entry was posted in Uncategorized and tagged Free Agency, Vladimir Guerrero. Bookmark the permalink.